Hurry, Final Opportunity To Live At Adora Trails Passage! Ask Us About Our Available Homesites. Taylor Morrison's at Adora Trails in Gilbert, Arizona, a deluxe master-planned community with a suburban neighborhood charm. 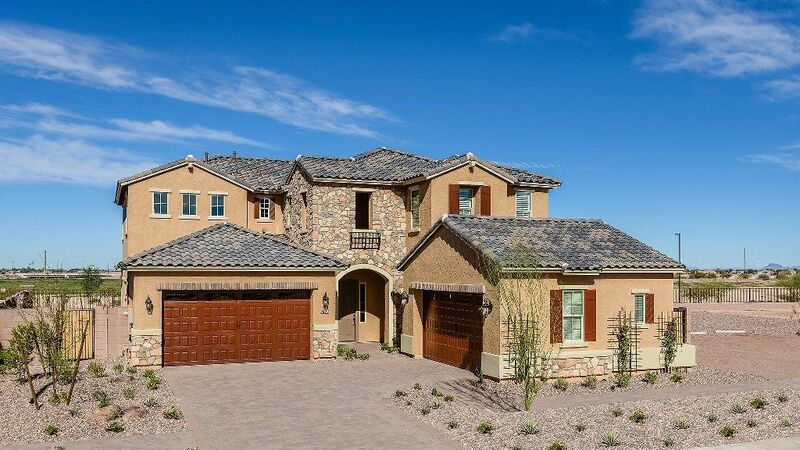 Located in the East Valley, Adora Trails’ Passage Collection is comfortable living in a gorgeous suburban setting with convenient access to outdoor recreation, clubhouse living and ample amusement for the kids and entertainment in the city of Gilbert. Residents of Adora Trails will appreciate the beauty of the Arizonan desert and breathtaking views of the San Tan Mountain range while enjoying the benefits of education in the Chandler School District and easy access to employment hubs in the East Valley and Phoenix.Step inside New Homes at Adora Trails Priced from the low $300,000s, Adora Trails Passage Collection offers a variety of homes in six distinct floor plans. The Bradshaw II and Powell are among the collection’s largest floor plans for one and two-story homes, offering approximately 2,604 and 3,958 square feet of spacious design, with impressive great rooms, open-concept kitchens and living rooms, dens, game rooms, loft space and 3 to 5 bedrooms and attached three to four-car garages. Call (480) 988-1770 to schedule a tour of beautifully designed model homes today.Top Things To Do in Adora Trails Residents will appreciate the convenience of a state-of-the-art community fitness center, heated community swimming pool, and a luxurious 10,000 square foot clubhouse where residents will have access to a gourmet kitchen, community living room, multimedia room, and a game room.